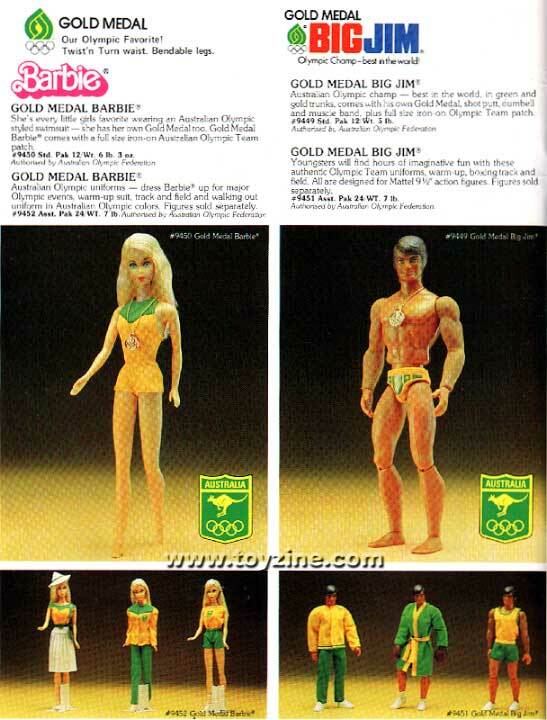 Ken was nowhere to be seen during Mattel Australia's 1976 Olympic campaign... despite Twist'n'Turn Barbie's relatively Amazonian stature (11.5 inches), it was Short'n'Stout Big Jim who won her heart! Both came with unique outfits and accessories to commemorate Aussie participation in the games. In particular, note Big Jim's patriotic swimmers. 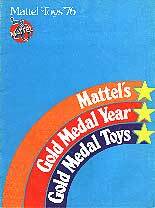 Go for Gold!